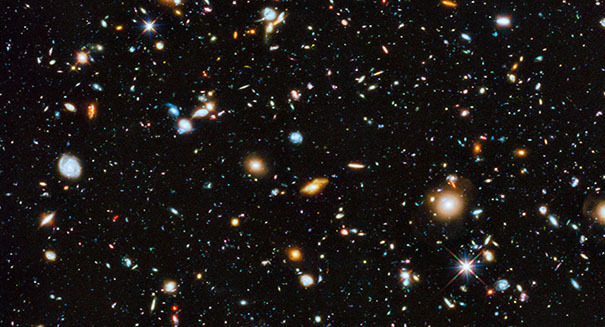 Scientists have discovered a galaxy using gravitational lensing that is a staggering 11 billion years old, dating back to our early universe. Scientists have just made a remarkable find, discovering an ancient spiral galaxy that existed a remarkable 11 billion years ago. Looking at this galaxy is like peering back deep in time to the early cosmos, just 2.6 billion years after the Big Bang when the universe was just a fifth of its current age. The galaxy, which is named A1689B11, was found with a technique known as gravitational leensing using the Near-infrared Integral Field Spectrograph (NIFS), which is located on the Gemini North telescope in Hawaii. Essentially, scientists use the gravity of galaxies as a lens to peer deeper into space than they otherwise wood. The galaxy is forming stars at an incredible rate, with scientists estimating it is creating them 20 times faster than galaxies of the present day. But A1689B11 is unique in that it is fairly cool and it has a thin disc, with not much turbulence that you would expect to see in such a spiral galaxy.